Freightliner Ultralight Travel Umbrella Only $10.99! Down From $29.99! Ships FREE! You are here: Home / Great Deals / Freightliner Ultralight Travel Umbrella Only $10.99! Down From $29.99! Ships FREE! With the rainy season here, you will not want to miss this great deal! GearXS has this Freightliner Ultralight Travel Umbrella on sale for $10.99 (Reg. $29.99)! It’s always going to rain, and if you’re like most people, you can never have too many umbrellas. 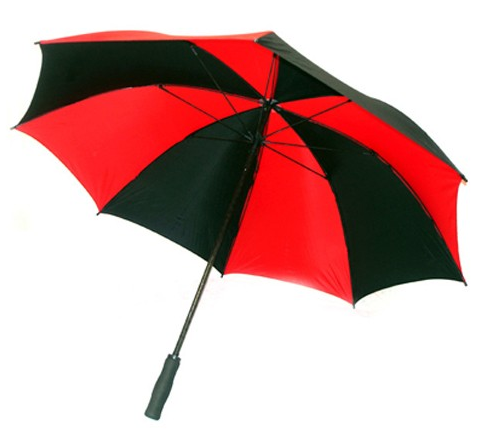 You’ll be singin’ in the rain, and so will others when they see you with this red and black umbrella from Freightliner. With large, auto opening canopy, getting caught in the rain wont bother you at all. In fact, you’ll welcome the weather, if only just to use it!